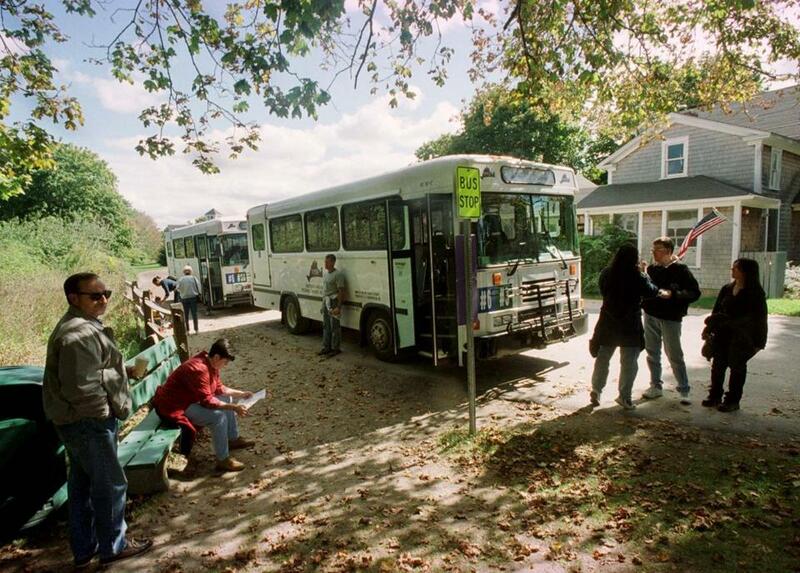 A transit bus on Martha’s Vineyard, as pictured in 2000. A Martha’s Vineyard Transit Authority bus driver has been fired after ignoring a potential passenger Wednesday, telling the passenger later that they drove by them “because you are black,” according to the agency. The Route 13 bus driver, who was not identified, was traveling from Edgartown to Oak Bluffs around 4:25 p.m. when they passed by a person on Beach Road near Oakdale Drive who was trying to flag down the bus, transit authorities said in a statement released Thursday. The bus was at capacity, but the driver had failed to switch the marquee to note that the bus was full, and they passed the potential passenger by. The person then took an Uber to Oak Bluffs, arriving shortly after the bus. When the person confronted the bus driver about being ignored, the driver said it was because the bus was full. But when the person pushed back on that response, the driver said, “Well, it’s because you are black,” according to onboard footage of the exchange.